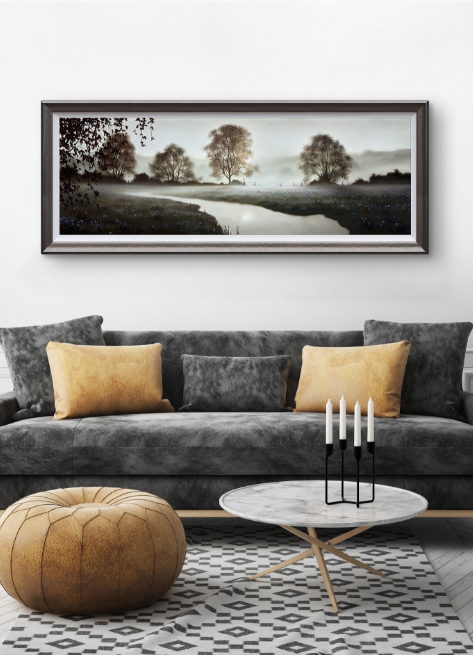 We are pleased to introduce a breath taking new collection of exclusive limited editions from celebrated landscape artist John Waterhouse. Beautifully lit, exquisitely composed and precisely executed, each inspirational piece invites us to step briefly out of our daily lives and escape into an idyllic world of calm and contemplation. This combination of elements has proved irresistible to art lovers and over the last decade John has established himself as one of the foremost figures in the genre. Join us in the gallery to acquire your own much needed moment of calm.